Phoenix Books is holding a release party for Fairest, the latest in Marissa Meyer’s Lunar Chronicles Series. 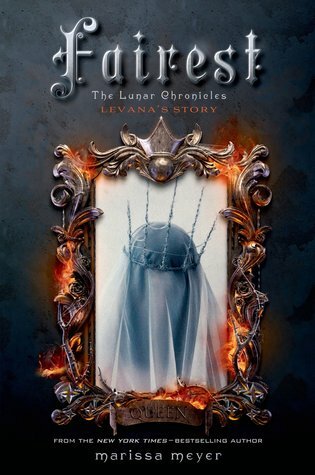 The Lunar Chronicles are futuristic retellings of classic fairy tales. In Cinder, a teenage cyborg (half human, half machine) must deal with a wicked stepmother, start a rebellion against the evil Queen Levana, and decide how she feels about a handsome prince. As the series continues, Cinder forges alliances with Scarlet, a spaceship pilot who is determined to solve the mystery of a missing loved one — with the help of a magnetic street fighter named Wolf; Cress, a computer hacker who is imprisoned by Queen Levana; and Winter, a princess who’s in love with a commoner, and who discovers that Cinder, Scarlet, and Cress may hold the key to saving her kingdom — and the world. The event will be held on Tuesday, January 27th at Phoenix Books’ Essex location throughout the day!